If you need assistance with any licensing or registration procedures with regards to all types vehicles, trailers or motorcycles, please feel free to contact me. I am able to assist you with any registration issues you may have. Listed below is a more concise list of what I can assist you with when registering your vehicle, trailer or motorcycles. This list is not complete as I can assist you with virtually any registration issues you may have, but the list does show a number of specific procedures I am able to deal with. Registrations: All transactions required to register a vehicle once purchased in the titleholder of the vehicles’ name, whether, for a finance company or direct to the purchaser of the vehicles’ name. Assistance with application of change of titleholder once the user of the vehicle has settled the payments with the financier and the financier no longer has any more interest in the vehicle. Assistance with change of ownership/titleholder when one sells the vehicle - completion of NCO forms and submit to License Dept. Handling of re-registration of vehicles obtained via inheritance. Imported vehicles: Once immigrants have received their permanent resident certificates, they are permitted to legally register their private vehicles in SA. All correspondence with Department of Trade and Industry – DTI for permanent import permits for foreign vehicle to be registered in South Africa. Acquiring of compliance certificates/conformity certificate from specific vehicle manufacturers on behalf of immigrants for foreign vehicles to be registered in South Africa and arranging the translation of foreign issued documents to comply with SA registering authorities requirements. Arranging and taking vehicles on behalf of the owners for roadworthy tests and certification as well as all weighbridge certifications and gross vehicle mass certificates. .
Handling of all original foreign documentation and correspondence with the department of transport, directly on behalf of the client to enable data capturing of vehicle and owner information. Completion of transactions required for registration and licensing of vehicles with the licensing departments. Home-built vehicles/trailers/motorcycles : Assistance with all procedures to be followed for the building up of previously de-registered vehicles and self/home built trailers. Obtaining SAPS VIN numbers issued by SAPS for built-up vehicles. Handling of all applications and transactions for the introduction of imported brand new vehicles/motorcycles for the registered importers of such vehicles. Assistance to the registered importers of secondhand motorcycles with the NRCS - National Regulator for Compulsory Specifications inspections and certification; bill of entry; obtaining of eNatis model certifications on all models of vehicles; dealer stock registrations of all imported stock. Assistance with registration of dealerships with SAP in accordance with Second Hand Goods Act. License renewals of vehicles with or without renewal notices. Including vehicles in arrears (expiry dates overdue). Assistance to buyers of vehicles, new or secondhand for all procedures required to ensure registration and licensing of the vehicle on the owners name: - notice of change of ownership; roadworthy; police clearance (when no original documentation available). Assistance with SAPS clearance required for replaced engines or stolen-recovered vehicle transactions. Returning residents that wish to bring in their vehicles when coming back to SA. I am able to assist with all the procedures as with immigrants. All they need do is arrange their own shipping and I will deal with the rest. People wishing to apply for personalised number plates or specific numbers can also contact me to do it on their behalf. Temporary or special permits application required for transporting unlicenced vehicles. Assistance for motor dealers with application for trade plates to enable them to take vehicles for roadworthy test/ saps clearances on vehicles where engines have been replaced/vehicles repaired. Datadot is a forensic technology that is used to mark complete vehicles with 10 000 micro chips. These are impossible to remove and simplifies tracing of and prosecution in stolen and hijacked vehicles. To read more about this technology please click here. If you need datadot to be applied to your vehicle or assets please contact Cheryl. This is done personally at your residence or at mine with no need to book appointments or drive around looking for a reputable fitter. All type of vehicles can be datadotted. Click here for the regulation regarding datadot as set out by government. Registration of a custom built motor home. Finally after 6 years on the build of our custom motor home, we were finally ready to road worthy and ride…..really?! Did we think it was that simple?!! WRONG! I rushed off to the licensing department, documents in hand and ready to roll. A very polite lady asked me to return 2 days later as her scanner was broken, I would have been happy to oblige and bring my own scanner in I assured her! She handed me a dilapidated page with the prerequisites of what I’d need…..what on earth is an homologation certificate I ask….she didn’t know either and looked at what I had….merely the road worthy and the weigh bridge and title deed….bring those back on Wednesday she requested, that should be fine. Ever hopeful I rushed back on Wednesday (slight doubt was niggling at the back of my mind though). Same polite lady was there…not so polite by Wednesday though! She called in someone else who took one look at the papers and smashed my dreams into oblivion….where is your homologation certificate and manufacturer’s certificate? You cannot register this vehicle without them. Tail between my legs and clueless, I returned home to google….what else do you do?! I started to get lost in a sea of legislation on the NRCS website and panicked. Called a company who builds vehicles and spoke to the boss to ask him …..IMPOSSIBLE…..he told me. How on earth do you think you can build a vehicle in your yard and expect to drive it on the road?! Now I was really deflated, I saw our dreams of touring through Africa smashed into oblivion…..having seen my husband 4 months early fighting for his life in ICU for 6 weeks….are you seriously telling me he survived that to see his build of 6 years come to nothing through legislation? So we spent 4 weeks with empty promises of help up here in Johannesburg that came to nothing, and still the big question hung over us….had we really done all this for nothing? Impossible was seeing my husband survive back in March….surely there had to be a way….didn’t there? Just as I was losing all hope, I got up early one Monday and started googling all over again. I’d specifically gone looking for a website I’d browsed over on the Saturday but was interrupted…..and there it was……light beaming from the computer……..there was Cheryl claiming she specialised in the difficult registrations……and then I hit Linda Terblanche’s blog….and laughed and cried with her tale….I felt a kindred emotion in her story….I knew exactly what she’d gone through. Fortunately for Cheryl, I resisted the urge to dial her number there and then….I realised Cape Town worked on a different time scale and she probably wouldn’t appreciate a call at 5.30am! So watching the clock I called at 8.31am! No time to waste. I poured my sorry tale down the phone to Cheryl who patiently listened, then asked politely can I put it in an email….she thinks she can help and will call a buddy to ask what’s required…..
Email sent, I arrive rather late for work but with a small bud of hope beginning to bloom. 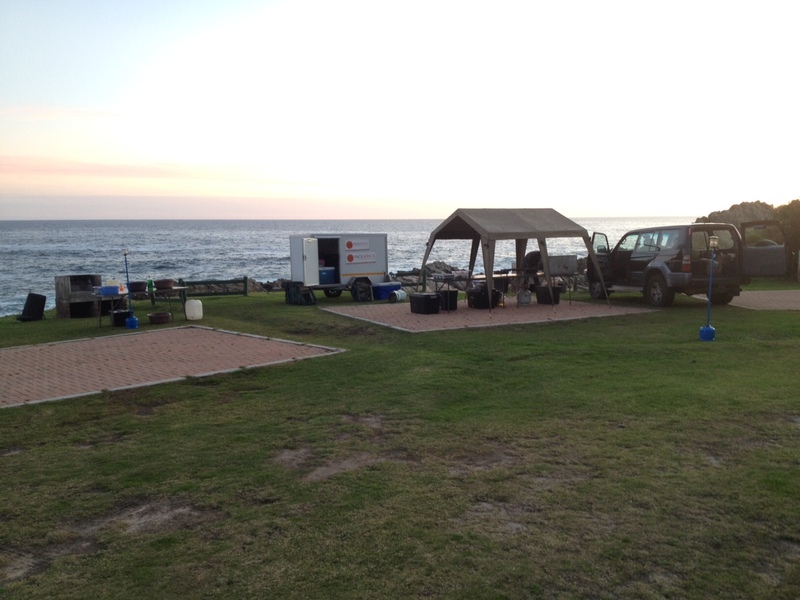 That evening a response came from Cheryl…..yes she can help….she can take the whole process from start to finish….only problem is we would need to bring it to Cape Town for inspection at the NRCS……problem ……NO….ROAD TRIP!!!!! Good opportunity to test the motor home out I point out to all the dubious friends. Is there really no one up here who can help? We were given one contact who told us he could help organise the letter of authority we would need from the NRCS , but the rest of it we would be on our own with the department of transport and licensing, but understand that the letter of authority was a long process and can take up to 2 months….Cheryl had said she could help with the whole process. At the back of my mind the big question nags me…..what if we get all the way down there and we fail the inspection with something big? Well, at least we would have had a decent trip I reassure myself and if time the promise of returning to Johannesburg via Namaqualand to see the flowers was extremely tantalising! 10 days later we found ourselves heading off for Cape Town, by then I was even more concerned and unexcited….we’d had such drama getting the temporary permit, that I wasn’t even sure the trip would happen till late on the Friday night….was this an omen? 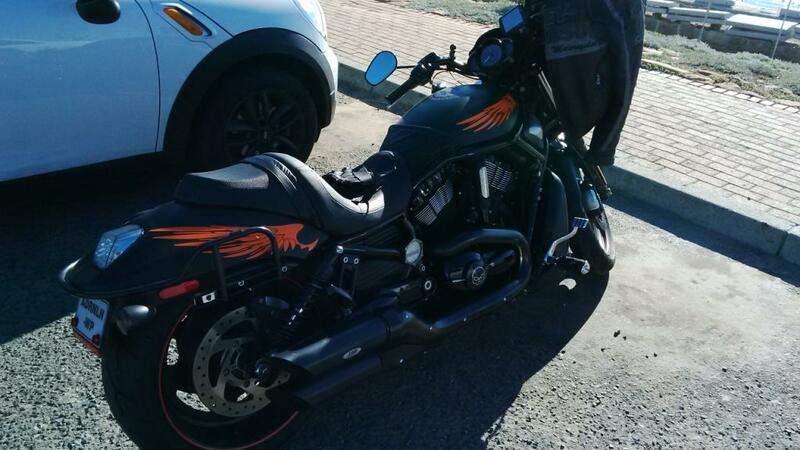 After a few issues on the road and discovering where all the leaks were as we hit the rain in Beaufort West….what do you expect on a custom build I ask my teenage boys? 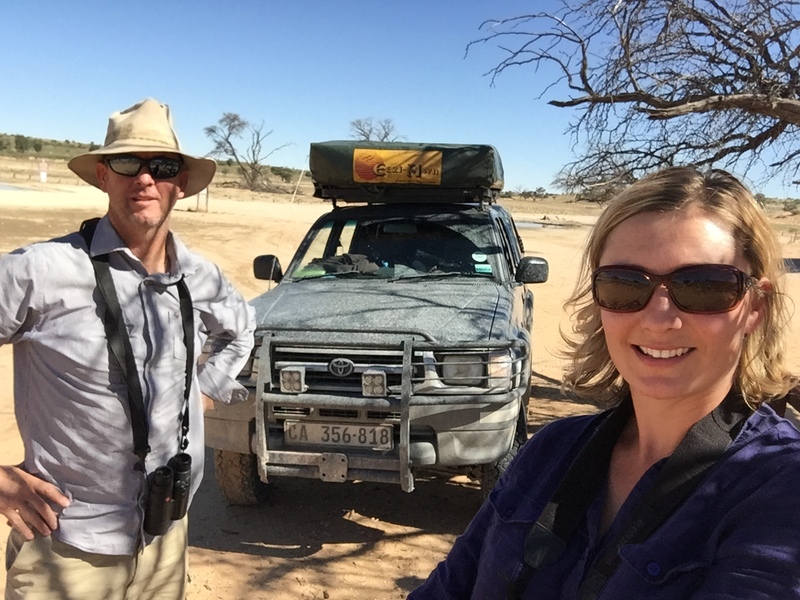 There will always be teething issues…..we arrived in Cape Town a day earlier than the inspection…..or so I’d thought…..Cheryl reorganised the appointment with the NRCS a day earlier…now we could get this over and done with and make it home via Namaqualand after all!! And so it happened…….the easiest part of our whole trip! Apart from driving a big truck through Cape Town!!!! Those drivers are as bad as they’re purported to be!! Cheryl handled all the paperwork….we arrived at the NRCS….the inspector came out to us clip board in hand and I left the men to it….what a pleasure. An extremely pleasant young man who was extremely complimentary re: the build. We left there with huge grins on our faces….mission accomplished…..and so easy. Cheryl took us to 2 more places that day….data dotting and the weighbridge to do other certificates, of which I still have no idea what they were for….but Cheryl did, and that was all that mattered!! She handled the people and the paperwork….we left Cape Town the next morning after the police clearance was done with very grateful thanks to Cheryl for making things so easy….can I put my house on the market now I ask?! Perhaps wait for the Letter of Authority first came Cheryl’s response…….she then said the impossible….she hoped to have the registration finalised by the time our temporary permit expires….REALLY?! !....this I’ve got to see I thought to myself!! The other man said 2 months for the LOA….Cheryl now only had 2.5 weeks! We arrived home the following Monday, a day later than planned, Cheryl reminded us of the 3 things the NRCS inspector had requested us to do…and we needed to send a picture to prove they were done….namely reflectors and the lights for the rear number plate. Plus a letter from the suppliers of the perspex to show it was SABS approved. All complete and sent off…Cheryl now had one week less due to our holiday to complete the licensing within her prescribed time frame! And then came the surprise…….two weeks later, I get a message from Cheryl, can we please send our physical address for courier purposes….. sure was my response, but dare I ask….are you just getting prepared or is everything done? All done and dusted and your plates license are being couriered up to you…..that was Monday last week……the temporary permit expired on the Friday….Cheryl had achieved the impossible!!!! They arrived early Tuesday….enough time to glue all the windows back in place after the leak repairs, and head off on Thursday for our first licensed trip! As I said to Cheryl in Cape Town….for her this is paperwork…….for us it is an emotional experience....which makes us all the more grateful and indebted to her for her help and expertise! December 2014 to March 2015. We would very much like to recommend Cheryl, she saved our situation which was at the point of failure before we discovered her online. We were trying to buy a vehicle in South Africa while we were in Australia which would have been hard enough but also we are Australian citizens so not familiar with South African bureaucracy. Every other service we tried had basically been unable to help us despite the fact they said they could. Including vehicle storage. Cheryl was very professional and fully understood the requirements and explained it all to us very clearly. She has a clear and comprehensive knowledge of this field. She is also very prompt with communication and replies to our many queries. Cheryl managed the whole process of vehicle ownership transfer as well as acting for us to collect the vehicle from the sellers. On top of that she organised secure storage for us until we could get there and even organised a cover for the vehicle. She also checked the vehicle for us on handover and made sure everything was okay. 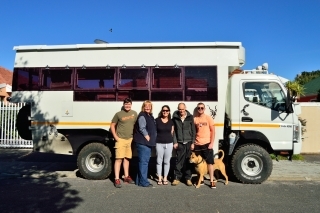 Without her help we would not have been able to carry out the transaction and would not now be the proud owners of our own bakkie in South Africa! She definitely went above and beyond the call of duty!When we arrived in Cape Town in March she helped us with the final registration process and Francois even went to the trouble of taking us to the auto shop to get a new battery and installed it for us! You could not ask for more! 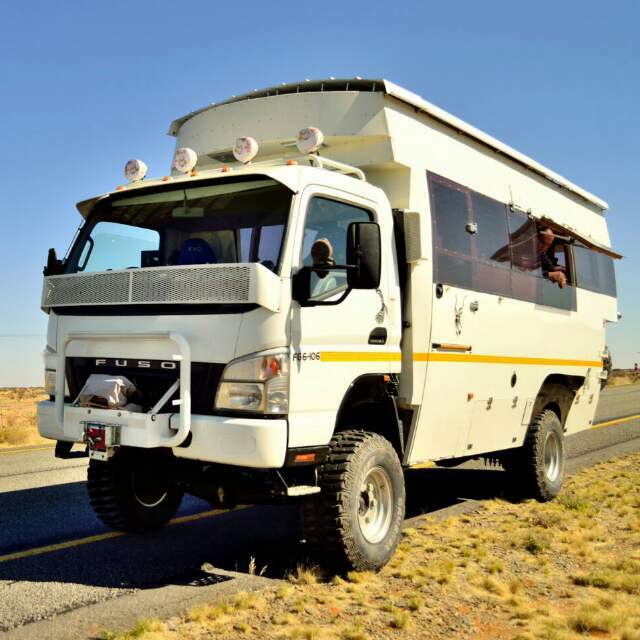 Our test run with the bakkie went well, we took it for a run up to the Tankwa Karoo and then on to the Kalahari for 10 days. We had no problems and it went really well so thank you for helping us with all this, we couldn't have done it without you, much appreciated! Copyright © 2019 Vehicle Registration Consultant. All Rights Reserved.